Ditch harmful chemicals in your body & skincare routine. This guide will give you all the best tips and tricks for creating healthy beautiful skin from the inside out. Discover the absolutely essential steps you should take — before, during & after pregnancy — to set the stage for fertility and lifelong health for your baby. Cut through the confusion and hype, avoid unnecessary drugs, and prevent heart disease naturally. Make Paleo meal planning, shopping, and cooking easy for you & your family! Stainless steel food dehydrators. Make the best kale chips of your life. The holy grail of blenders. This thing will blend steel and will be your new best friend. A great cheaper alternative to the Vitamix. Blending bliss! Amazing blender for smoothies, sauces, and dressings. Easy clean up! Believe me when I say, “A slow cooker will make your life easier.” Here are some recipes as an example. A good quality (and sharp) chef’s knife is one of the most important tools you can have in your kitchen. And no body knows knives better than the Japanese. There is nothing more dangerous than a dull knife. For the knife novice, start with 8 inch chefs knife. Serious Eats website has some fantastic knife skills videos. A leader in great tasting & water purification. No fancy hook up, chemicals, or electricity needed. Comes in many sizes to accommodate all households. Pack healthy lunches, in leak proof containers, without the plastic. Make lunches fun for the kiddos! The best in food storage. Get away from toxic plastic and move toward glass. A favorite in the centrifugal juicer world. Boost your daily nutrition with veggie juices. A favorite in the masticating juicer world. Boost your daily nutrition with veggie juices. An amazing healing skin cream. A life saver for autoimmune skin issues! Natural, vegan, gluten-free body & skincare products. The only non antiperspirant deodorant that works in my opinion. And I’ve tried them all! This herbal rinse does wonders for the teeth & gums. Put a little in a water pik and your mouth will never feel cleaner. *Use with Dental Herb Company rinse above. Castor oil has many healing properties! Great for constipation, skin ailments, and boosting the immune system. Need US shipping? 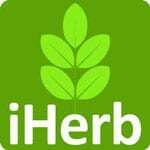 Use HealthWave for 10% discount off all products & free shipping your first order. Need shipping outside the US? Click here. Best sunscreen on planet earth? Quite possibly. Sprayable and natural. Just say NO to baking chemicals into your skin. Tinted unscented natural face sunscreen. Avoid the white face look that you get from most natural sunscreens. A stool that promotes proper toilet posture for optimal poopin’. Boost your mood by bringing the sunshine indoors. Want to know if your diet is health? Track your blood sugar. Here’s how. Have a history of high blood pressure? Monitor your daily BP from the comfort of your home. Raw, gluten-free, dairy-free nutrition bars. These are by far my favorites! Tip: Try the mulberry, cacao + spirulina superfood crumble over a little frozen banana “ice-cream” for the most delicious treat! Mix 50:50 kelp:sea salt and use to salt your food to increase your iodine intake. Great for the thyroid. High quality coconut milk. And the can is free from the BPA lining that you find in most coconut milk brands. Paleo baking to your hearts content. Such a cute little Paleo baked goods company. Makes a great gift to tell someone you are thinking of them. Raw, gluten-free, dairy-free delicious morsels of joy. A great way to start to conquer your sugar addiction. Trying to give up soda? Mix a few drops in with mineral water and you have a delicious cream soda. Coconut butter is a fabulous heart healthy fat. You will find it used in a lot of these recipes. I don’t go anywhere without my gelatin. I’m not kidding- it has traveled around the world with me! Gut healing amino acids- good for guts, bodies, and brains. Add a scoop to your next smoothie. Fish sauce is the secret ingredient in much of Asian cooking. This is one of the only MSG-free and gluten-free fish sauces on the mass market. The best place to get safe and effective pharmaceutical grade supplements in the US. The best place to get high quality supplements for those living outside the US. Dairy-free, gluten-free, grain-free, legume-free protein powder. Delivers 21 grams of complete protein that can only come from 100% pure, all-natural beef. From hormone-free, antibiotic-free, beef raised in Sweden with no GMO feed. Naturally sweetened with Tapioca and Stevia. No beefy taste. Mixed best using a blender. Liver is nature’s most potent superfood. If you do not consume organ meats, consider trying liver in capsule form. For all the health benefits of liver and how to prepare it, click here. Don’t be afraid of salting your food! Good quality salt brings out the flavors in your food and provides your body with much needed minerals. When a recipe calls for some sweetness, I recommend using small quantities of high-quality maple syrup. When a recipe calls for some sweetness, I recommend using small quantities of a high-quality local honey. Ghee is a wonderful heart healthy fat used in high heat cooking. The smoke point is higher than other oils, so the fats are remain stable at higher temperatures. Craving some crunch? Try these buckwheat breads. Great gluten-free cracker alternative. If you are taking supplements it’s a good idea to get a pill container to organize what you take at the start of each week to make sure you don’t forget! The Everyday Headband and fun bracelet stacks- handmade with love. Pack healthy lunches, in leak proof containers, without the plastic. A lifesaver for teething babies. 100% natural rubber. A ballet inspired pilates & yoga home program. Restore functional movement and strength in 10-60 minute online video classes. A great way to build strength & get your heart rate pumpin’. How to do kettlebell swings. This past year I have visited CrossFit gyms all over the world. I am a huge fan of the workouts and the community. It’s also a great way to find excellent experienced trainers. A fantastic App for building strength & muscle mass. Gamification of your workout experience. Use in the place of a chair for better posture and stronger abs. The sun is your friend! Regular sun exposure, without burning, leads to healthier skin. And in some locations or times of year, regular sun exposure is just not possible. A high quality tanning bed could be your answer. This is one of the only ones that I recommend. Great for psoriasis too! Make your home into a spa haven. Sweat it out on a regular basis. You’ll feel great. Great soap for daily home cleaning. Here is the Dilution Cheat Sheet for home & body uses. Affiliate Disclosure: Some of the links above may contain affiliate products that contain Dr. Alexis’ stamp of approval, which means that Dr. Alexis may receive a percentage of any product or service that you purchase using these links. Please do not feel any obligation to purchase using these links. You will pay the same price for all products and services, and your purchase helps support Dr. Alexis’ ongoing research and work, as well as our non-profit initiatives. Thank you for your support!